How does GDPR impact personalized insurance services? Today’s customers expect insurers to treat them as individuals with personalized services. Trend-setting insurers are moving away from transactional relationships with their customers, where they focus on bills, payments, renewals and notices. 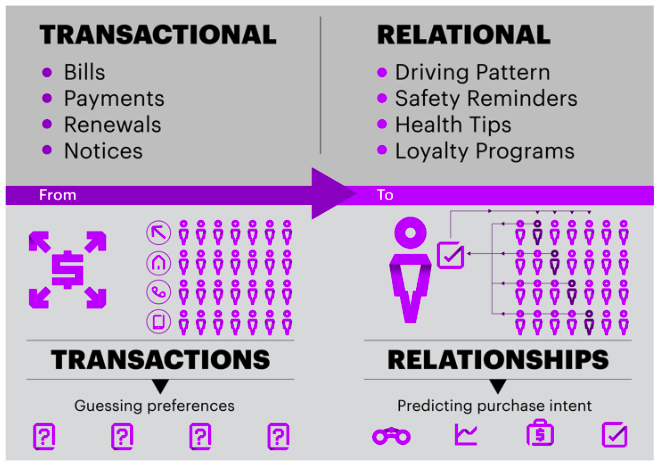 Instead they’re moving toward relational relationships where customers provide their personal data and in return receive personalized customer experiences. In the past, insurers have concentrated on product development, grouping people based on their age, lifestyle or financial status. However, this segmentation model built on simple demographics does not always provide strong predictors of how customers will behave, and in the current market it falls short of customer expectations. Today, customers expect insurers to adopt a “segment of one” model, where each customer is treated as an individual. This French carrier offers a program called YouDrive, which analyzes driver behavior to offer reduced premiums to safer drivers. The DriveBox, connected to the customer’s car, uses a GPS chip and an accelerometer to record events such as forced accelerations, abrupt braking, high-speed turns, a pace adapted to traffic and distance covered. It then analyzes customers’ driving and adjusts their monthly insurance premiums by up to 50 percent, based on safe driving behavior. Customers can see their driving score on a web interface or smartphone app, and they receive weekly email reports so that they can track and modify their driving. Directive Assurance also uses the data to provide customers with personalized daily driving advice. An insurance brokerage in India, Coverfox tracks website usage to offer personalized advertisements and autofill forms based on customers’ previous data entries. When customers visit the Coverfox website to compare insurance premiums for their vehicle, they are asked to enter details such as the vehicle model, registration number and registration year. If they leave the Coverfox website after looking at a quote, the company collects that data, along with an image of the vehicle, the insurer’s logo and the premium, to offer the customer personalized ads across Facebook. Using an innovative “text on image” capability on Facebook Newsfeed ads, the company improves visibility and recall. When the customer clicks on the ad, they are taken to a prefilled proposal page so that they do not need to enter the data again. This US health insurance company provides a concierge team of doctors and nurses whom customers can call or message. The concierge team can help customers with questions about availability; whether they are seeing the best doctor for someone with their condition; finding high quality doctors who accept Oscar insurance and offer extended office hours; managing chronic conditions and preparing for procedures; as well as questions about health and wellness. In an emergency, one of the concierge team is available to help with the patient’s discharge and follow-up care. Insurtechs like this US start-up, which offers on-demand personal property insurance, are showing many incumbents the way. Its smartphone app lets customers turn insurance protection on or off for individual items at any time to keep premiums low. But the company also reduces premium rates as objects depreciate in value. 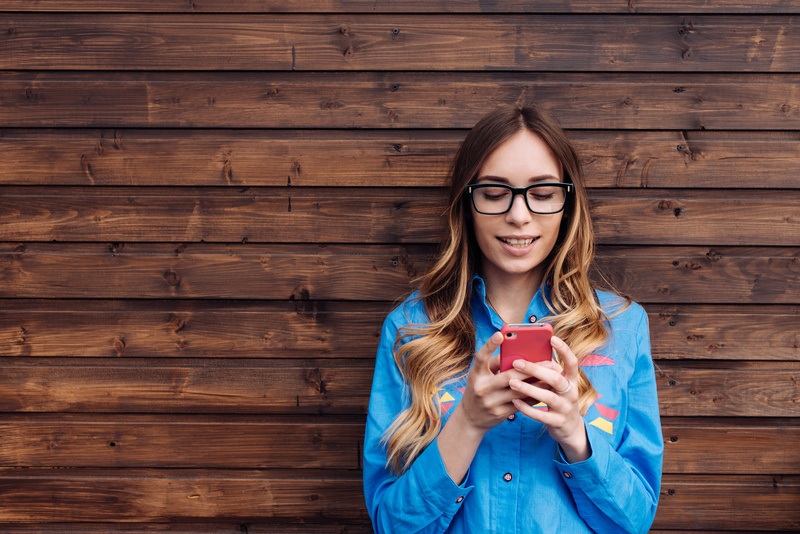 To make a claim, customers simply send a text message. A US mobile-first insurance brokerage, Cover keeps customers apprized of price drops for their premiums for auto insurance, homeowner or renters insurance, personal or commercial property, pets, jewellery and electronics. The company has developed technology that continuously monitors the market based on customers’ existing policies and notifies them when a lower price is identified. In the current insurance market, customers’ expectations are based not just on what they see happening in the insurance industry, but across the broader retail sector. For insurers, that means sending payment reminders or renewal notices is no longer enough. Customers expect insurers to care about their wellbeing and tailor experiences based on them as individuals, in addition to providing them with appropriate coverage at an affordable price. In my next post I’ll look at opportunities for personalization across the value chain.